A 1953 Chevrolet 3100 short bed pick-up with the five window option and the side mounted spare tire option. Has original 216 cu in six cylinder engine and three speed manual transmission. on the column. 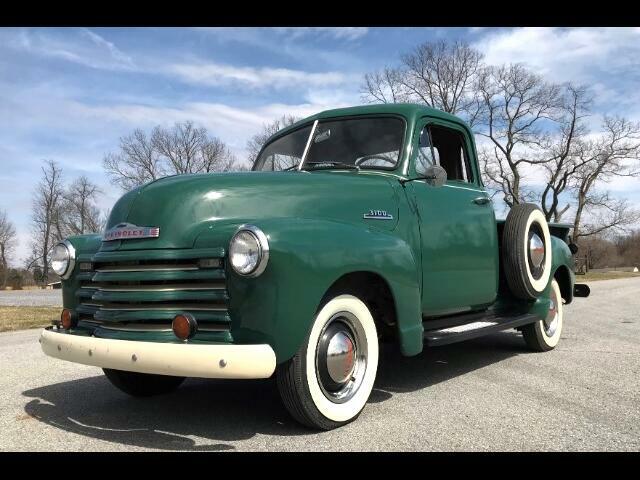 An original California truck with super nice body, and complete original drivetrain. Runs and drives out very good. Has nice set of wide whites and nicely done wooden bed. We purchased this truck in California and had it shipped to West Virginia. It is very solid throughout. A very original good running, un-molested California truck with the desirable 5 window option.